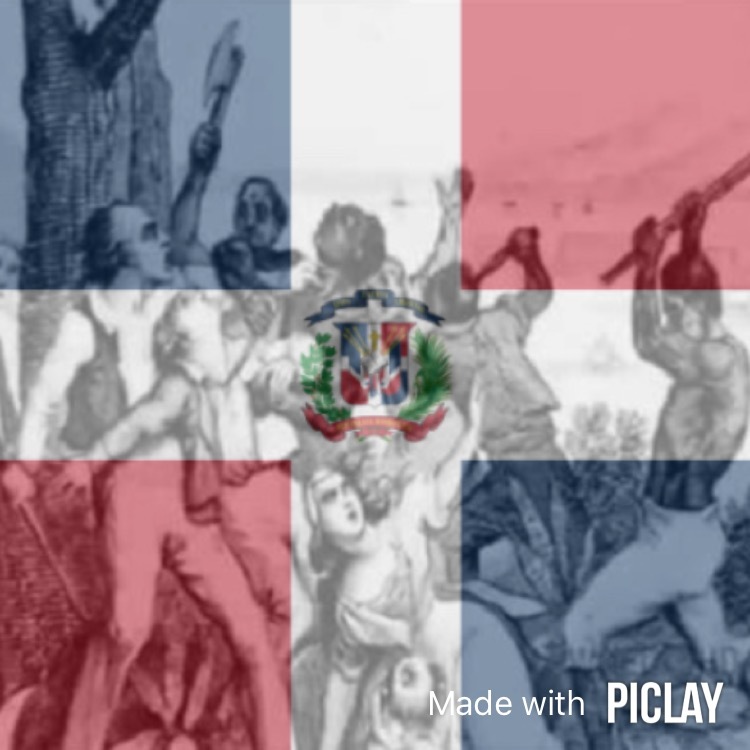 The first major slave revolt in the Americas occurred in Santo Domingo during 1522, when slaves led an uprising in the sugar plantation of admiral Don Diego Colón, son of Christopher Columbus. Many of these insurgents managed to escape to the mountains where they formed New Afrikan independent maroon communities. While sugar cane dramatically increased Spain’s earnings on the island, large numbers of the newly imported slaves fled into the nearly impassable mountain ranges in the island’s interior, joining the growing communities of cimarrónes—literally, ‘wild animals’. By the 1530s, cimarrón bands had become so numerous that in rural areas the Spaniards could only safely travel outside their plantations in large armed groups. Beginning in the 1520s, the Caribbean Sea was raided by increasingly numerous French pirates. In 1541 Spain authorized the construction of Santo Domingo’s fortified wall, and in 1560 decided to restrict sea travel to enormous, well-armed convoys. In another move, which would destroy Hispaniola’s sugar industry, in 1561 Havana, more strategically located in relation to the Gulf Stream, was selected as the designated stopping point for the merchant flotas, which had a royal monopoly on commerce with the Americas. In 1564, the island’s main inland cities Santiago de los Caballeros and Concepción de la Vega were destroyed by an earthquake. In the 1560s English pirates joined the French in regularly raiding Spanish shipping in the Americas. With the conquest of the American mainland, Hispaniola quickly declined. Most Spanish colonists left for the silver-mines of Mexico and Peru, while new immigrants from Spain bypassed the island. Agriculture dwindled, new imports of slaves ceased, and white colonists, free blacks, and slaves alike lived in poverty, weakening the racial hierarchy and aiding intermixing, resulting in a population of predominantly mixed Spaniard, African, and Taíno descent. 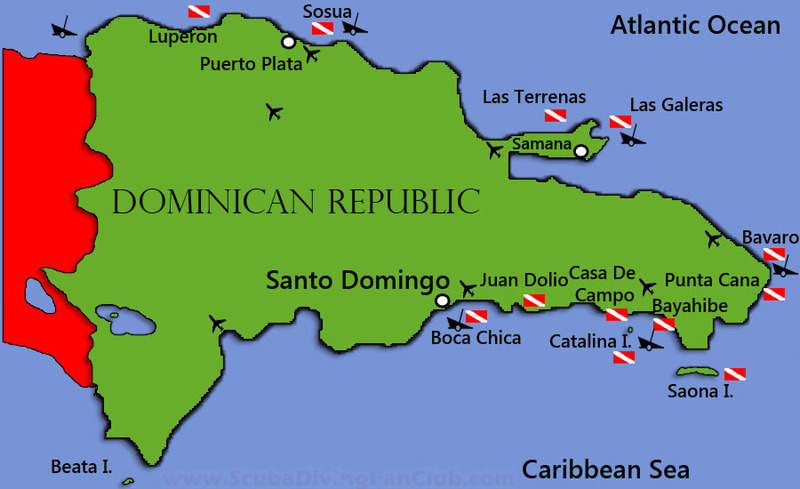 Except for the city of Santo Domingo, which managed to maintain some legal exports, Dominican ports were forced to rely on contraband trade, which, along with livestock, became the sole source of livelihood for the island dwellers. In 1586, Sir Francis Drake captured the city of Santo Domingo, collecting a ransom for its return to Spanish rule. In 1595 the Spanish, frustrated by the twenty-year rebellion of their Dutch subjects, closed their home ports to rebel shipping from the Netherlands cutting them off from the critical salt supplies necessary for their herring industry. The Dutch responded by sourcing new salt supplies from Spanish America where colonists were more than happy to trade. So large numbers of Dutch traders/pirates joined their English and French brethren on the Spanish main. When Rosa Parks spoke at Robert Williams’ funeral in Monroe, North Carolina on October 22, 1996, she said those who marched with Martin Luther King Jr. in Alabama admired Williams “for his courage and his commitment to freedom. 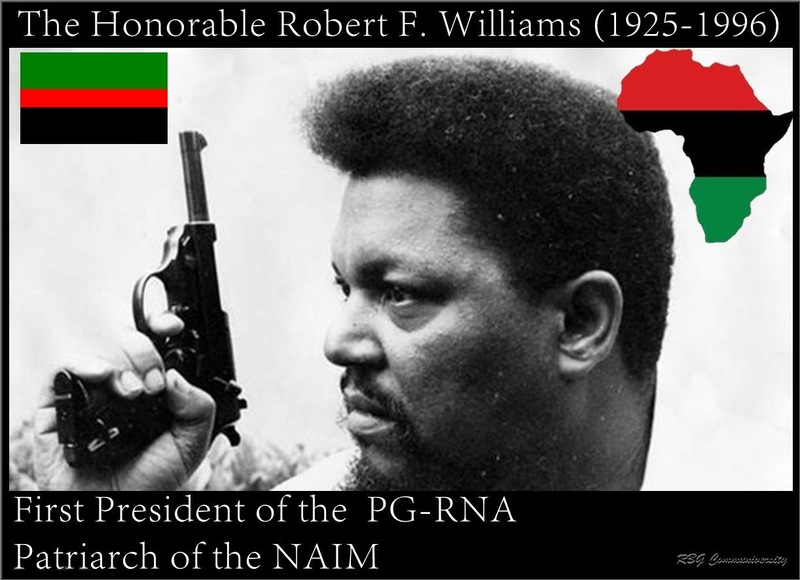 The work that he did should go down in history and never be forgotten.” But the words of this champion of nonviolent protest may surprise those who know Williams believed in “armed self-reliance” and was “a very good friend” of Malcolm X. Born in the small town of Monroe in 1925, Robert Williams was raised on stories from his former-slave grandmother Ellen and tales of his grandfather Sikes, who stumped North Carolina for the Republican Party during Reconstruction and published a newspaper called The People’s Voice . Before she died, Ellen Williams gave young Robert the rifle which his grandfather had wielded against white terrorists at the turn of the century. During World War II, Williams went North to find work. He fought in the Detroit Riot of 1943, when white mobs killed dozens of black citizens. Drafted in 1944, Robert served for 18 months, fighting for freedom in a segregated Army. He returned to Monroe and in 1947 married Mabel Robinson, who shared his commitment to social justice and African-American freedom. As president of the Monroe NAACP in the late 1950s, Williams watched as members of his community were denied basic rights, tormented by the KKK, and ignored in the courts. Seeing no other recourse, he began to advocate “armed self-reliance” in the face of the white terrorism. Members of his NAACP chapter protected their homes against the Klan with rifles and sandbag fortifications. In Cuba, Williams wrote Negroes With Guns , which was a pivotal influence on Huey P. Newton, founder of the Black Panther Party. He and Mabel aired a radio show and continued to publish their newspaper, The Crusader , for thousands of subscribers. In 1965, Williams moved his family to the People’s Republic of China, where they lived among the upper circles of the Chinese government during the Cultural Revolution. When President Richard Nixon’s administration launched secret contacts with China in the late 1960s, Williams bartered his knowledge of the Chinese government for safe passage home and a Ford Foundation grant to work at the Center for Chinese Studies at the University of Michigan. He played a significant role in the historic opening of diplomatic relations between the United States and China. In his battle against Hodgkin’s disease, Williams was as brave as he had ever been. His memoirs, While God Lay Sleeping: The Autobiography of Robert F. Williams , tell the compelling story of a man who risked his life for democracy and a humanitarian vision that was rooted in the finest traditions of African-American striving. Above the desk where he wrote hangs the ancient rifle that was a gift from his grandmother. “1957: Swimming Pool Showdown” by Robert F. Williams appeared in Southern Exposure, summer 1980 in an issue on the Ku Klux Klan. Timothy B. Tyson is a North Carolina native and an assistant professor of Afro-American Studies, University of Wisconsin-Madison. His forthcoming book, Radio free Dixie: Robert F. Williams and the Roots of Black Power, will be published by University of North Carolina Press. In Haitian Vodou Ogun is known as Ogou, and consists of an array of manifestations; most carry the aspect of iron smithing and tools from the Yoruba tradition. The Ogou guard the badji, the sacred altar of the Vodou temple. He carries an iron saber and wears a red sash. Ogou is also the god of pioneering, intelligence, justice, medicine, and political power; these are associated with the symbol of the tool that can “advance humans’ mastery over the environment. Ogou Feray is the god of war. 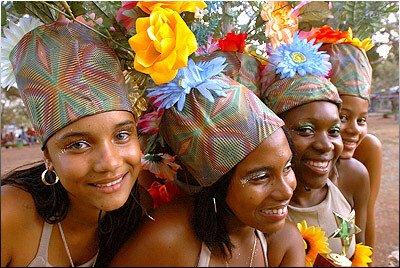 Other manifestations of Ogou are Ogou Badagri, Ogou Balenjo, Ogou Batala, and Ogou Je Wouj. Ezili Freda Daome is the female counterpart to Ogou. 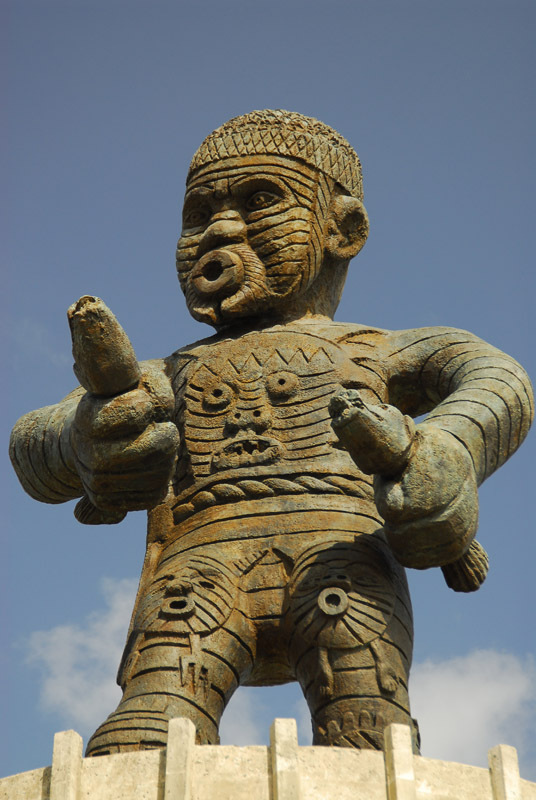 Ogu Haitian vodou god of fire, iron, politics, thunder and war. 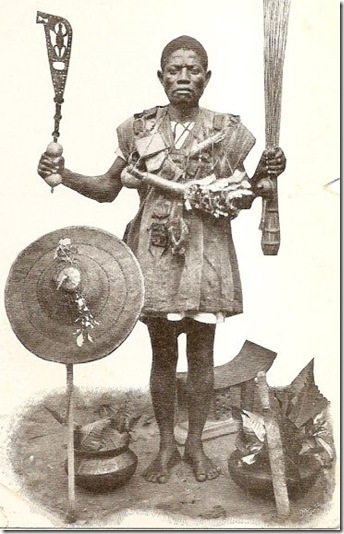 Ogu/Ogou Feray is syncretized with St. James the Greater (St. Jacques Majeur) in the Vodou tradition. He is a warrior spirit and protects the Vodou community; he guides Vodou followers against their enemies. He is symbolically covered in iron and may not be harmed by his enemies. As in Africa, his symbol is a piece of iron, a machete, or a knife. 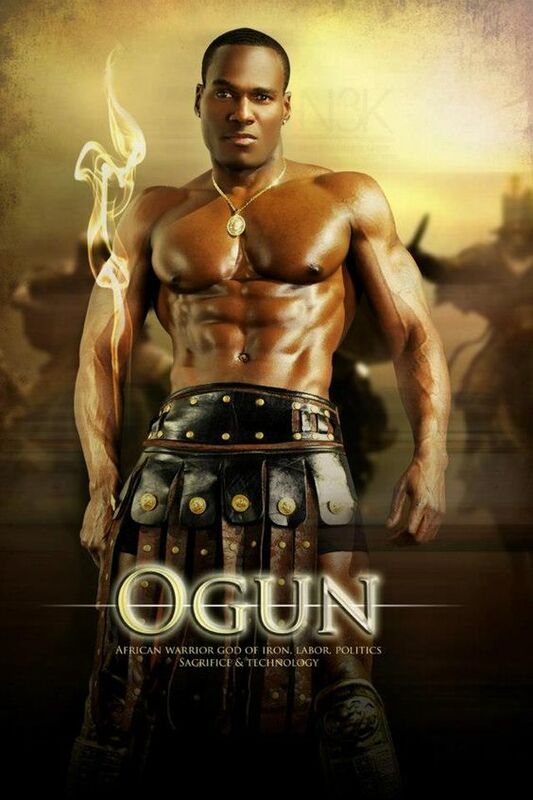 As in Africa, Ogou is revered among blacksmiths, many of whom are of Yoruba origin. He is also noted to like women and alcohol. 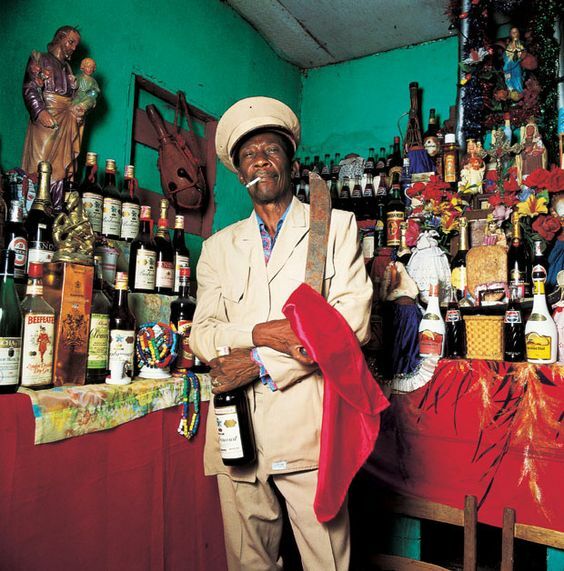 In Vodou ceremonies followers of Ogou wear a red shirt, pants, and scarf. 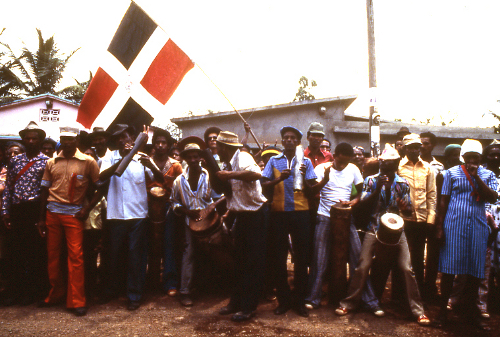 A followers of Ogou in a possession-trance is offered Haitian white rum during the ceremony. In some ceremonies rum is burned in a container to allow Ogou to “wash” the hands of the followers. I am covered with iron. Fèrè Fèray tout ko Fèray sé manchèt. The body of Fèray is covered with machetes. Chokwe Lumumba, an extraordinary leader with a vision of liberation forged in the 1960s Black Power movement, died on Tuesday after eight transformational months in office as Mayor of Jackson, Miss. A founder of the Malcolm X Grassroots Movement, an activist attorney, and a former City Council member, Lumumba was elected Mayor of Jackson in June 2013 with 86 percent of the vote—despite being massively outspent. In office, he brought people together across class and race lines and thawed a multi-year freeze between the city and state legislators. His language was direct and his goal was “revolutionary transformation.” He not only inspired his own community, but he also disarmed his critics with a tireless commitment to building support for his twin goals of political and economic democracy. “The mission is to accomplish economic development together,” he told me in an interview just two weeks before his sudden death by heart attack. We met in his office in Jackson City Hall on February 12 to talk about “solidarity economics” for an upcoming article for YES! Magazine’s Commonomics project. Laura Flanders: First off, congratulations on your election. Flanders: What do you want to accomplish? Lumumba: We want to accomplish a revolutionary transformation. We are party to statistics which demonstrate that our people, black people in particular and probably the majority of the Mississippi population, are at the worst end of all the vital statistics. When it comes to the discussion of oppression in America, we’ve been experiencing the worst of it for a long time. What’s exciting to me is the prospect of going from worst to first in a forward-moving transformation which is going to take groups of dispossessed black folks here and others and make us controllers of our own destiny. We are not foolish enough to think that it is a mission that can probably be accomplished here in the absence of fundamental movement in the rest the world, but we think we can start that movement and help carry it forward, and help advance it in a really powerful way. So that’s what excites us. Flanders: And your specific goals? Lumumba: We find ourselves in a situation where we are in the “Kush” district. Kush is an ancient name for an area around Egypt, which in ancient times, encompassed a historically black community which became the genesis of Egypt and Ethiopia and others. We use the terminology to refer to a “black belt,” areas which are predominantly black, but there’s a distinct reference to a formation of black counties in Mississippi: Tunica to Wilkinson, all contiguous, 18 counties, 17 of them majority black including Hinds county where Jackson sits, only one majority white, and it teeters on the edge of being majority black. “Kush,” the concept, is larger than Mississippi. It goes across the border into Louisiana and the predominantly black counties of Louisiana and Southeast Arkansas. This is really a broader area than where we are, but we in Mississippi are the center of commerce of that area. We’re 85 percent black. 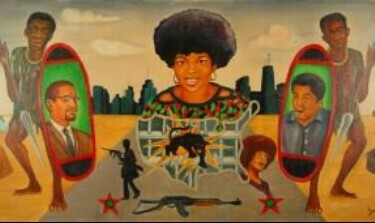 This is an important area because it gives us a chance to demonstrate real vitality, to vindicate that terminology of black power which was used years ago, but was so much in search of definition at the time. Flanders: What do you mean? Lumumba: We knew we were getting short-changed in the whole so-called integrationist movement, which in truth was a struggle for democratic rights; in our struggle against Jim Crow, we knew we were coming up short. And so we defined ourselves as being in a struggle for Black Power and became a black liberation movement with various different objectives. One which was central which we set out for ourselves was for us to develop a sense of self-determination for all people in America. And this is a region where that purpose is particularly important and where it can be particularly achieved, or at least get off the starting blocks. That’s the vision. Flanders: And how does that vision intersect with your mayoralty? What tools do you have in your tool box as mayor to make that sort of change? Lumumba: Mayors normally help out the economic powers-that-be and try to make sure they can avoid the issue of crime as much as possible, and point to prosperity by moving and shuffling people around in a gentrifying set of circumstances, by trying to get the poor people out of town and getting rich people in. We are way different than that and we don’t mind saying it. In fact, we just had an interesting discussion at the city council where one of the councilmen (I like to think partly inspired by my inauguration speech), actually brought up a resolution against gentrification and it was part of a conversation which got us to try to explain the problems with gentrification and why we want to move ahead. Flanders: Can you be a revolutionary and a mayor? Lumumba: Mayors typically don’t do the things we’re trying to do. On the other hand, revolutionaries don’t typically find themselves as mayor. Change does not come on thoughts alone; because we have a revolutionary ideology and give speeches on it. It comes because you can change the material conditions of people, and get people to assist in the change, be the mainstay in the change in their conditions. And so, how do we achieve that, that’s the real challenge for us. We don’t think we can do it in the way we did it in the 60s and 70s. We raised up millions of people in fiery speeches and that was good—I’m in love with that period—but at the same time, the people been suffering for a while and fiery speeches are not going to do it. We’ve got to tell them how we’re going to fix their streets; how we’re going to feed them, how are they going to eat, where are they going to live. How are they going to avoid being in a neighborhood which goes unattended for so long that it becomes a target for urban renewal which is really just urban removal and then they lose their homes and they turn around and they’ve got condominiums there, and they can’t afford to buy a condo and then they’re shuffled out to the outskirts of the city where once again, they find themselves in another community of poverty, or even in a community of poverty outside the city. How the kids are going to get a real education as opposed to just showing up to school and being on the pipeline to prison? Those are the material things we’ve got to change. That’s an exploration process. It doesn’t require any less knowledge or commitment to the ideals we started off with, but it requires the ability to translate the message in ways that people can understand and become part of and can teach us. We have to understand the language of the people. Flanders: Typically mayors cut taxes, grant subsidies to potential employers, create low tax or no tax empowerment zones and woo big-box stores to come to their town. How much of that will you do? Lumumba: We’re going to be doing some of that. Some of that is involved. We have to create economy. That has to happen. What is revolutionary is that we want to convert this economy into something different at some point. But you have to create economy and what you convert it to is not necessarily what creates it. And so for instance the idea that we started out this administration on is infrastructure: We have to convert infrastructure into economic growth. When we talk about economic growth, we’re not talking about bringing a bunch of companies in that can make a bunch of bucks and hope they spend ’em in our city. We’re talking about creating jobs, creating new companies and then we move from there to talk about cooperatives which can become some of those jobs, some of the solidarity economy where we can begin to band together people so they’ll understand that a job is not a single individual affair but a collective affair; the creation of jobs is not an individual affair but a collective. The mission is to accomplish economic development together. We have to convert and teach that. It is our view that you can accomplish that better by putting people in a position where there is some production coming forth in the economy rather than people [being] worried about survival every day of their lives, for whom it’s difficult to confront anything because they’re fighting just for existence. So what we’re doing is creating movement and economy by that infrastructure thing. And we’ve done things in order to raise revenue, which is going to go into our infrastructure. We’re going to use that to create jobs, and expand job creation to nontraditional companies. Flanders: By revenues you mean the one percent sales tax the electorate passed by referendum this January? Lumumba: The sales tax as well as, we raised water rates and sewer rates. Ours were the lowest in southeast—only half as much as next place—and that was true because [as a city] we had kicked the can down the road, promising we’d fix the water system but really not being equipped to do it. What we did is we started by trying to raise revenues, and now it’s our obligation to make sure those revenues fall into the hands of people and to keep seeking other revenues from those forces who should be paying and aren’t doing it. We’ll be making some demands of the state and federal government, but in addition, we’ll be figuring out ways to get the corporations to pay their fair share. Flanders: Where does the solidarity economy come in? Lumumba: As we do, in order to create a permanent atmosphere of change, that’s where the solidarity economy of change comes in. You don’t want to simply invest in what exists already hoping that the next group of entrepreneurs are not as greedy as the last one. Flanders: A lot of people think co-ops are a hippie thing. Lumumba: I can understand that [laughs]. There’s a little hippie in all of us. And I think the hippies probably got a lot of it from what used to happen in Africa. What are the real roots of it? We feel—Black people feel—that the roots are shared in an understanding of a common culture where economy is something to be shared by all people together. The economic fate of everybody is in the hands of everybody. And so the movement of society depends on “Ujumahaa,” meaning cooperative economics, or “Ujemma,” [meaning] cooperative work and responsibility, two of the principles of Kwanzaa. Those are some of the principles we think come from our native mother/father land, which are healthy principles and which, in many instances, hippie communities and other communities tried to adopt at different points in time. We feel we have to return to those principles in a practical way and make it work in neighborhoods that we live in. Flanders: What did you learn and who from? Lumumba: I learned from a powerful movement, perhaps one of the most powerful movements the world has ever known and it’s still going on. It has declined, but we’re trying to make sure that we build it back up. I stepped into the picture at a time when a great civil rights movement had taken place and people who had been denied fundamental democratic rights and civil rights had stood up: Fannie Lou Hamer, Medgar Evers, Rosa Parks, and had won to the degree that it was clear that our claims to fair treatment were beginning to be universally recognized and accepted as legitimate, inevitable claims. However, at the point I stepped in, there was still a power vacuum, and so as I learned from what Fannie Lou and Medgar had done and specifically spent many hours with SNCC [Student Nonviolent Coordinating Committee] people discussing what had gone on, I recognized that instead of gaining power we were really losing power. We weren’t gaining power from what had been going on. Lumumba: How to say it? The oppressed have kind of a perverted power because they had segregated communities, at that time, where business was able to flourish, and those were dying. They were losing the economic trappings, if you will, of the segregationist system because the markets that blacks had controlled were beginning now to decline. And we can take you to streets here that manifest that decline. People were turning from being just poor to being destitute. Not only in cities, but in rural communities where people who had land, and could grow some food and cook you some food—you worked for SNCC and they could cook you some food. Well they couldn’t cook you no food because their land had been taken from them. All of this was occurring and simultaneously the need to manifest the exercise of self-defense was apparent. You had a situation where Jackson State students had just been killed and that wasn’t unique. It was happening all the time. Civil Rights workers had been killed. And so many had been killed before they were killed. I was influenced by Kwame Ture, by Malcolm X. Still am. And one of the things that’s part of that influence [was the idea that] it’s time to step away from unmitigated attacks on our people without response. We were in a period. Imari Obadele—president of the Republic of New Afrika. Muhammad Ahmad … Amiri Baraka … all of these and of course … Queen Mother Moore. These were people who equipped us to get through that period because they taught that two things were needed: [First,] self-determination. That’s why we have a power vacuum, because you don’t control your own destiny, your don’t own your own land, you don’t govern any territory. And secondly, you’ve got to defend yourself. The whole idea of water hoses and dogs may have been great to demonstrate what kind of place this was. You never want to plan to have your own people get killed or slaughtered, but the reality is, we’ve seen that in many other places in the world. At a certain point, you have an obligation to curtail that without giving up the struggle. 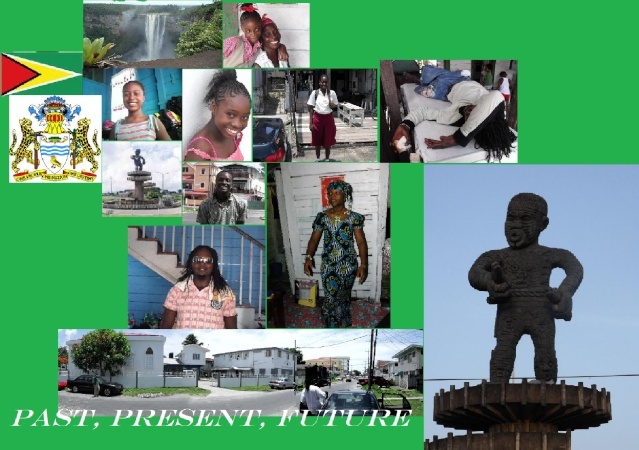 Flanders: Can you tell us about the Republic of New Afrika? 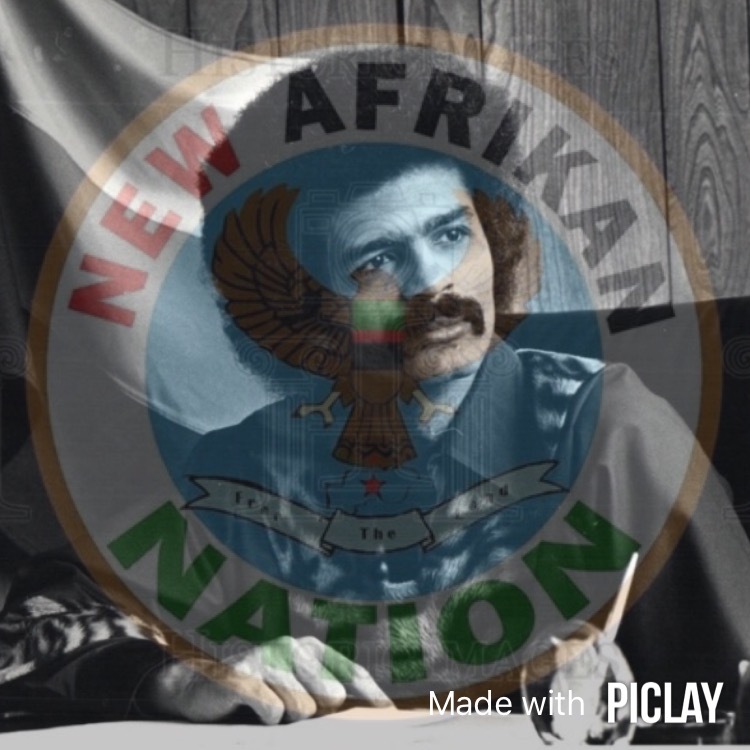 Lumumba: My teachers called ourselves the Provisional Government of the Republic of New Afrika and we believed it. We believed in everything that the RNA declaration of independence said in terms of the aims of the revolution. We were really ahead of our times for a “nationalist” organization in that we said we were for a society which promoted and demanded equal treatment regardless of gender, color, or class. We came to the center of white supremacy. Absolutely antithetical to who we were. And we fought it in many different ways: physically, teaching, in the courts. I did a bit of all of it, but the reality is God blessed me to come out of the period—not to be killed, not to be destroyed emotionally and psychologically as so many were—blessed me to the point that when we decided to readapt some of our tactics, to not do the old Panther thing, where you barricaded yourselves in and shot back if the police came, but to have a community approach where clearly you’d defend yourself if you had to, but you recognized that your biggest defense is your community, and the work you did in that community and helping the children in that community. We began to adopt youth programs and many others. I went to law school to defend people who had no one to defend them and causes that nobody would defend. And in that way we really integrated ourselves along with a lot of other people who’d been doing that kind of work. But we also had a political program that talked about power. Not just defending yourself today against the system, but how do you take power within the system? Flanders: What will you actually be doing to develop economic and political democracy? Lumumba: We have to do a lot of community development. We will be urging people to participate in our community programs, which deal with things like gardening; something that pulls the whole community together in something that shares cooperatively the produce. [We’ll be] dealing with security. Pulling people together to deal with security. We’ve started a “not on my block” project to stand against antisocial behavior. We passed an anti-racial-profiling law. We’re seeking to pass a human rights commission through the City Council, like a police review board although a human rights commission is broader. We will be trying to organize the community in such a way as we incorporate housing programs. We have to create housing that grows the people with the economy. At the same time, the unique position that we’re in is that I’m the mayor. [Laughs] I can talk about a lot of things and actually try to do a lot of things we couldn’t have done years ago, but at no point am I in a position where I can do all the things that the people need for liberation. The question becomes how to keep that liberation movement going? I’ll be encouraging youth to get involved in that liberation movement; bringing youth into summer jobs programs, urban development programs, and at core of curriculum is going to be an understanding of who they are and what they should be fighting to achieve. That’s the training of the future and that’s why it’s so important. Flanders: How would you describe the pressures you’re under? Lumumba: I think there’s pressure on every mayor who’s trying to do the right thing by their people, and that’s the pressure of a capitalist society, which does not want to give up a dime. They basically want to constrain the people in every way they can. Gentrification is a big part of that—housing declines in certain areas and grows in other. Inequality is a part of that. What makes us a little bit different is we’re not just trying to defend ourselves against that sort of stuff, we’re trying to destroy that kind of stuff. We’re trying to defeat that. We want to create something different. We don’t just want to carve out a spot on the globe where we don’t get affected by it as much as the next guy. We’re trying to destroy it not only here but all over the world. Flanders: What do you mean by “it”? Lumumba: By “it” I mean capitalism, exploitation, racism. You know, Dr. King gave a speech at Riverside Church that I’d never listened to until a few years ago—I read it and it’s just as good as anything Malcolm ever said. He identified “three evils”: racism, economic exploitation, militarism. Those are the kind of things that we really want to destroy. The destruction of it is going to take many forms. The maturity of our movement is we can work with different forms and different approaches. That makes us different and puts a different burden on us and it’s not as big as it’s going to be. Right now a lot of people are just trying to figure us out. The people have figured us out. That was an election that didn’t get won because of money. We had the support of folks who had an opportunity to see what people close to me had done for many years: working with young people, food programs, youth programs, anti-crime programs, a wealth of programs trying to help folks. Flanders: I just came from talking with Duane O’Neill, the president of the Jackson Chamber of Commerce. Are you concerned about how he might react if I go away and say that you’re for destruction of capitalism? Lumumba: No. I think that ultimately we define ourselves. We’ve taken a big step forward and as we take steps forward, we have to consciously put out our message and try to make it equivalent to what will continue to move the movement forward. There are things you could talk about that would probably set the movement back. But you have an obligation to teach the people because if we don’t we’ll become obsolete like anything else. I like Duane. I don’t like people I like to be mad at me, but we’re beyond that and we’re beyond worrying what somebody thinks about us personally. We represent something that they need to do and what they’re trying to do… that’s why Duane and I have come into contact in the first place. Our economic development theme, development through infrastructure, is the only thing that’s on the table in Jackson. They don’t have a way forward for what we’re talking about. What we have to be careful of is that they don’t take our way forward and take it someplace else. Hopefully, we can convince Duane and other people that what we’re talking about is best for everybody, not just the oppressed or black people or poor people, but best for enlightened people and we give speeches like that. We do. I don’t know what part of it they believe. Flanders: In 1907 W.E. B. Du Bois talked about black America being at a crossroads between individualist competition and capitalist exploitation and cooperation… Doesn’t the history of the 20th century suggest that black people chose? They wanted their piece of the American Pie? Lumumba: For the most part, most of us didn’t do very well with the choice. People have to reexamine where they are and maybe even redefine some things. We don’t go out in the community and talk about capitalism and say we have to destroy capitalism. That’s something we would have done years ago. We were ideologues. First of all, even though we’re great revolutionaries, we’re worried about the potholes in our street too. How we create the recognition that the potholes are part of the repression—where they’re repaired and where they don’t get repaired… All of those things you can give more attention to in the position we’re in now. Now we have to be very specific. Flanders: Thank you. Last question. The City of Jackson sits in a particular place, atop two tropes of American capitalism: that you get ahead by work and you can find land to call your own. Jackson sits in the middle of the old Confederacy, on land seized by the Andrew Jackson from the native Americans. I couldn’t help thinking, passing that sign on the city hall that reads “built by slave labor” that that makes this place a particularly significant place for what you’re trying to do. Do you think about that as you walk through the door? Lumumba: This is the place and this is a special place. I think some of the most significant things happen in history when you get the right people in the right place at the right time and I think that’s what we are. When you talk about a building, which is designated as being built by slaves; that’s the right place. When you talk about people who’ve been under this oppression all of their ancestors’ lives and their lives, those are the right people. And this is the right time; the people make that true. The people make the time, because the election of the leadership is a reflection of the readiness of the people. And the fact that they have decided to put into leadership a group of people who have dedicated their lives to revolutionary change and had an opportunity to chose otherwise, says a lot for why we are about to transform this situation in Jackson … to a vital situation to change the world. Flanders: And what role does solidarity play? Lumumba: The role of solidarity economics is central because it is the economic transition from what is to what must be. Lumumba: We’re open for business, for people to come down and live. If you have a cooperative you want to put together or to work with, come on down. Finally, we’re going to be asking for resources, so if you want to do that you can call (601) 960-1084 and ask for Brother Kali. He’ll set you up. Jackson is rising off the charts and we’re going to have a conference of that name too. That’d be a good time for people to come down and see what we’re doing, in May 2014. Come on down and participate. The most phenomenal migration in our time is probably to Atlanta where 500,000 black people moved in a 10-year period from 1985 to ’95. Once we get that many moving here to Mississippi, then you will be dealing with the next formation, you can put it that way, one which will be solidly behind revolutionary change and development. 🏦 Founder of the Nickle Savings Bank (Black Owned Bank ) Churchill Richmond VA Richard Fillmore Tancil (1859-1928) graduated from Howard University in 1882 with a degree in medicine, and began practicing at Freedman’s hospital in D.C. 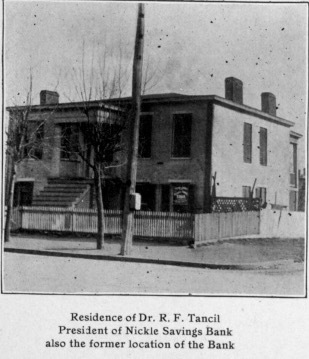 In 1896, after relocating to Richmond, Tancil founded the Nickel Savings Bank in Richmond’s Church Hill neighborhood. 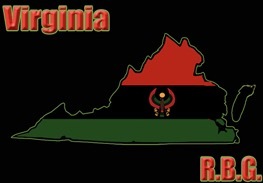 Tancil served as president of the Virginia Medical Association, director of the Memorial Burial Ground Association, and was involved in many other Richmond businesses and professional organizations and Civil/Human rights Activist, He Also Actively Supported The Boycott of Richmond’s Racist Virginia Passenger and Power Company and Its street cars,railways, Trolley 🚋 Systems during Jim Crow! 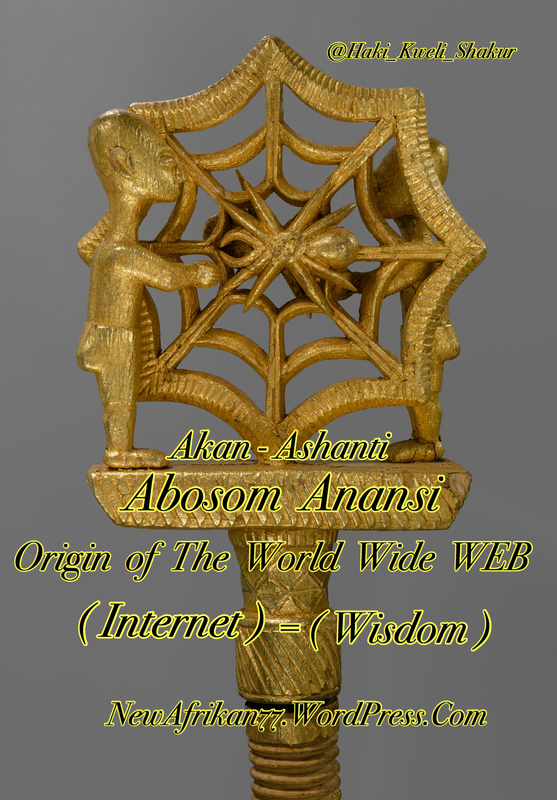 🙏🏾💻🖥 #WorldWideWeb – #Anansi (ə-nahn-see) is an African Deity and folktale character. He often takes the shape of a spider and is considered to be the spirit of all knowledge of stories. He is also one of the most important characters of West African and Caribbean folklore. Another story tells of how Anansi once tried to hoard all of the world’s wisdom in a pot (in some versions a calabash). Anansi was already very clever, but he decided to gather together all the wisdom he could find and keep it in a safe place. With all the wisdom sealed in a pot, he was still concerned that it was not safe enough, so he secretly took the pot to a tall thorny tree in the forest (in some versions the silk cotton tree). His young son, Ntikuma, saw him go and followed him at some distance to see what he was doing. 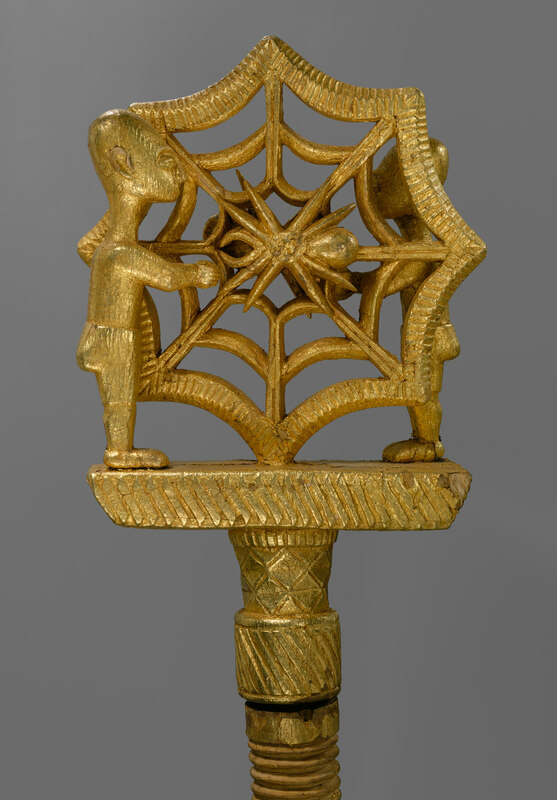 Ntikuma laughed when he saw what Anansi was doing. “Why don’t you tie the pot behind you, then you will be able to grip the tree?” he suggested. Anansi was so annoyed by his failed attempts and the realisation that his child was right that he let the pot slip. It smashed and all the wisdom fell out. Just at this moment a storm arrived and the rain washed the wisdom into the stream. It was taken out to sea, and spread all around the world, so that there is now a little of it in everyone. Though Anansi chased his son home through the rain, he was reconciled to the loss, for, he says: “What is the use of all that wisdom if a young child still needs to put you right? Coffy, or Kofi, or Koffi (died in 1763), was an Akan man who was captured in his native West Africa and stolen for slavery to work in the plantations of the Dutch colony of Berbice in present-day Guyana. 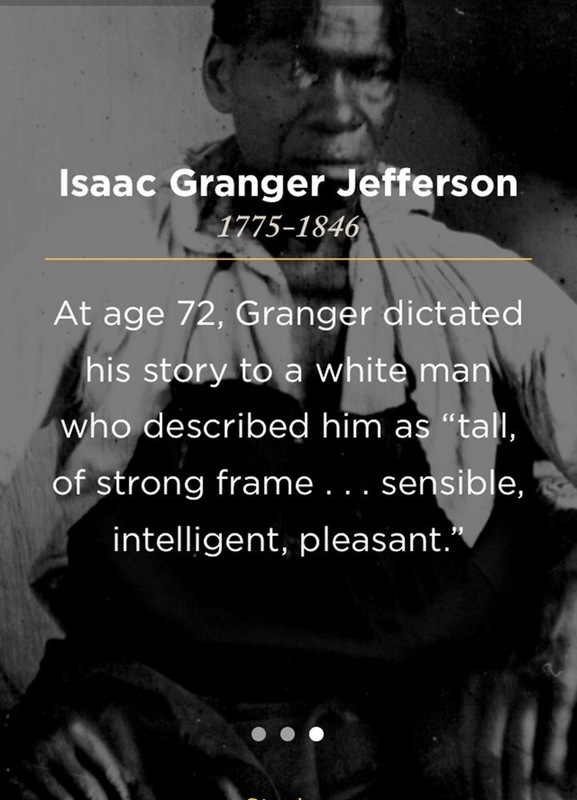 He became famous because in 1763 he led a revolt of more than 2,500 slaves against the colony regime. 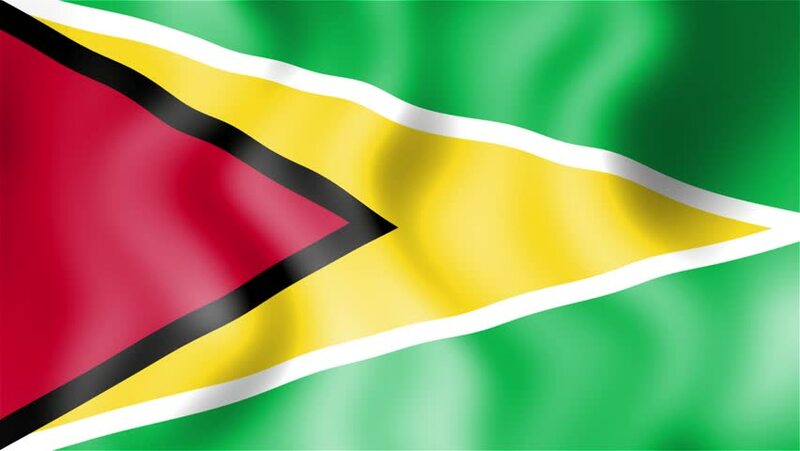 Today, he is a national hero in Guyana. Coffy lived in Lilienburg, a plantation on the Canje River, as a house-slave for a cooper (barrel maker). An uprising broke out at Magdalenenburg plantation, upper Canje River, in February 1763 and moved on to neighbouring plantations, attacking owners. When Governor Van Hogenheim sent military assistance to the region, the rebellion had reached the Berbice River and was moving steadily towards the Berbice capital, Fort Nassau. They took gunpowder and guns from the attacked plantations. By 3 March the rebels were 500 in number. Led by Cosala, they tried to take the brick house of Peerboom. 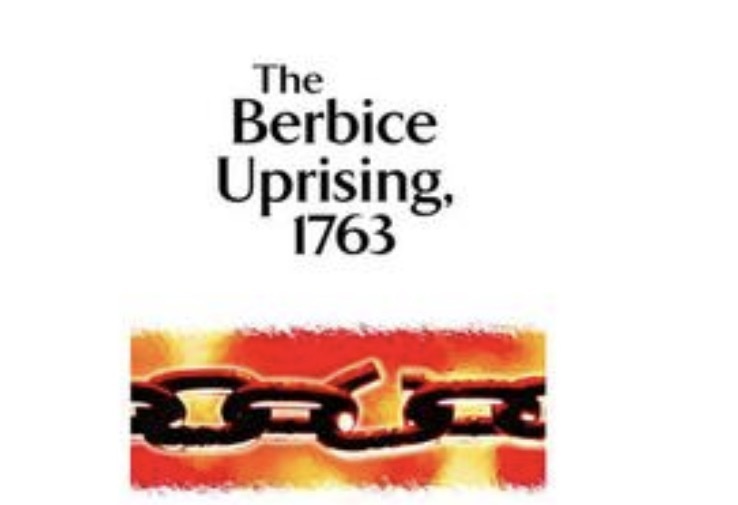 They agreed to allow the whites to leave the brick house, but as soon they left, the rebels killed many and took several prisoners, among them the wife of the Bearestyn Plantation owner, whom Cuffy kept as his wife. 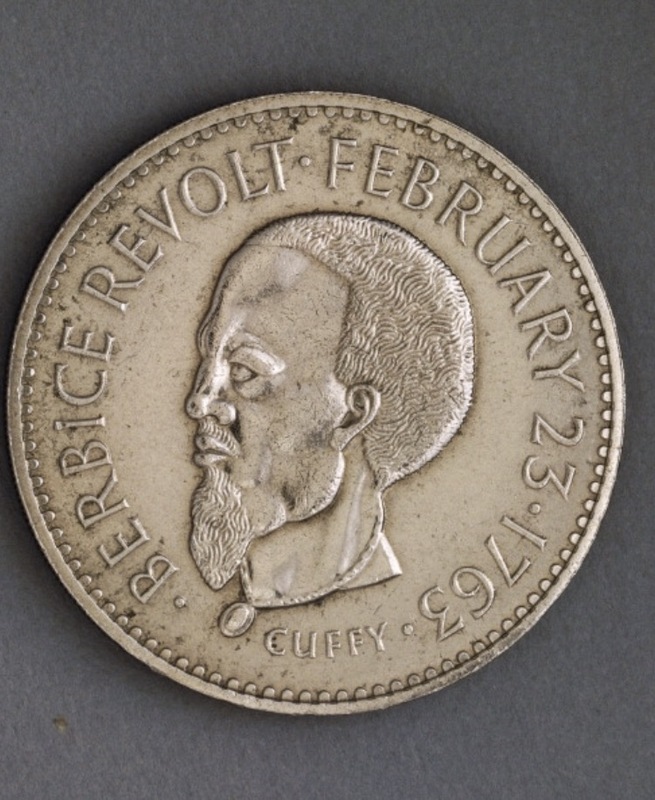 Cuffy was soon accepted by the rebels as their leader and declared himself Governor of Berbice. Doing so he named Akara as his deputy and tried to establish discipline over the troops. Accabre was skilful in military discipline. They organized the farms in order to provide food supplies. Van Hoogenheim committed himself to retake the colony. Akara attacked the whites three times without permission from Cuffy, but they were driven back. Thus began a dispute among the two rebels. On 2 April 1763 Cuffy wrote to Van Hoogenheim saying that he did not want a war against the whites and proposed a partition of Berbice with the whites occupying the coastal areas and the blacks the interior. Van Hoogenheim delayed his decision waiting for support from neighboring colonies. Cuffy then ordered his forces to attack the whites on 13 May 1763, but in so doing had many losses. The defeat opened a division among the rebels and weakened their organization. Akara became the leader of a new faction opposed to Cuffy and led to a civil war among themselves. When Akara won, Cuffy killed himself. taken down in the 1840 by Charles Camlbell, the Virginia historian, from the account of a slave who had lived at Monticello from 1775 until two years before Jefferson death. They were first printed in 1951 in a scholarly edition with introduction and notes by Dr. Rayford W. Log which was sold out within a year of its first issue. to meet the growing demand for this classic. make cakes, tarts and so on. the widow Skelton, widow of Batter 3 Skelton. times. One time it was struck by lightning. before Mr. Jefferson stopped building. handsome : long straight hair down her back. She was about eleven years old when Mr.
Madison, who learned to be a great fiddler. was cold weather when they moved up. Mr.
the Old Market was pretty much in pines. times gave Isaac a loaf of bread or a cake. woman; Sukey, Jupiter’s wife, the cook. the palace looking towards Williamsburg. where the basin is now and the basin-spring. time was sort a-makin love to Mary Hemings. larnt him how to beat. all at once and fired three rounds. stave to the camp at Bacon Quarter Branch. was dressed in red. Isaac saw them marching. them: they come arter the artillery-men. Caractacus from the stable and rode off. freedom by it. But he continued to sarve Mr.
brought them along with them on purpose. and beat on it that way. colored people died there, but none of Mr.
up man 20 : long face, high nose. hand: servants John, Molly and a postilion. out before breakfast about 8 o’clock. or fruit on a plate or anything he wanted. floor at once: read fust one, then tother. two rows of palings, all round ten feet high. arter supper. This was in his early time. harpsichord: his daughter played on it. Mr.
Fauble, a Frenchman that lived at Mr.
lor. Old Master very kind to servants. Rattiff and Jim Hemings, a body-servant. and so to Philadelphia: eight days a-goin. delphia, Isaac stayed three days at Mr.
Monticello to car on the tin-business thar. Wintopoke: Mrs. Eppes was a sister of Mrs.
Eppes was a big heavy man. to ride out on horseback in Philadelphia. from the house. Isaac had to open the gates. bleeged to wait dinner till it was cooked. all at once she wheeled round and come off. away dat time he never come back no more. wanted Mr. Giles to marry Miss Polly. storeys high, eight miles from Monticello. life mask of Jefferson facing page 16.
shelves to it in his library, an upstairs room. per (Skipwith) had two daughters thar: Mrs.
since his death: saw the old man’s grave. Mr.
take a week at a time drinkin and singin. go down thar wid his gun and order em out. come up and eat out of your hand. many sheep and goats at Monticello. and sometimes work all night fightin the fire. ville then not as big as Pocahontas’ 8 is now. Mr. DeWitt kept tavern thar. the most victuals of any people Isaac ever see. when people was passing to the Springs. who had often heard him talk about Mr. In the immediate aftermath of the election of President Obama back in 2008, a Gallup poll found a state of near euphoria among the public when it came to our hopes for improved race relations; 70 percent of the people polled predicting improvement. But earlier this month, almost seven years later, a New York Times/CBS poll found a much more pessimistic outlook. One of the more revealing results from the new survey was on attitudes about the Confederate battle flag: 57 percent of the whites surveyed said they viewed the flag as merely “an emblem of Southern pride,” as contrasted with 68 percent of African-Americans who said it was a symbol of racism. It’s in these divergent views toward this historic symbol that America’s fractured narrative, riven 150 years ago and never repaired, becomes clear. So how do we heal this wound that resists healing? My hunch is it starts by deeply understanding the brutality that was slavery in the here and now, and not putting it off on past generations as their burden alone. 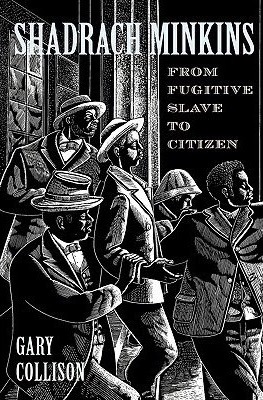 As long as we have two divergent stories, one fully reflective of the historical struggles of black America and another one embraced more readily by white society, we’ll remain a nation divided. To expiate the original sin of American slavery, we have to own it. We don’t get a pass because the slave owners are all dead and buried. As a kid growing up in New Jersey, I was taught in school that slavery was a Southern moral defect. Imagine my surprise when at almost 60 I learned that my own state, New Jersey, was once an enthusiastic booster of slavery. My path to enlightenment started while I was helping my daughter at her stand at our local farmers’ market last summer. The Mendham Farmers Market was located on the Pitney Farm, which up until our town bought it a few years back, had been in the same family since the 1740s — 11 generations dating back to when New Jersey was a colony. As I stuffed kale into bags, I spotted a black lawn jockey, which stood in front of the Pitneys’ manor house, the architectural focal point of a farmstead with barns and additional cottages. And thus I wondered: Was it possible that slaves worked this land? So I decided to use the Pitney Farm as a prism of place through which I could glean the reality of slavery in my own community. There was no mention of such history in any of the local literature, nor in the municipal documents that were part of the town’s due diligence when it purchased the homestead. Out back, the paint has faded on the Bicentennial Farm sign affixed to one of the red barns, vestiges of what was once a working farmstead. There’s no marking to note that slaves were part of the life of this place — although I would come to learn that they were, throughout all of Morris County and across the entire state of New Jersey, from its earliest white settlement, up until the end of the Civil War. From its founding, when it was called the “New Netherlands,” as a Dutch colony in the early 1600s , and even after their English successors re-named it “New Jersey,” promoting slavery was hard-wired into the state’s political economy. According to the New Jersey State Library’s Unit on African American Slavery in the Colonial Era, the colony’s first constitution, the Concessions and Agreement of 1654/1665, actually “provided additional acreage” for each slave a prospective settler had. “What foreign nation can believe that we who so loudly complain of Britain’s’s attempts to oppress and enslave us,” Green said, “are at the same time, voluntarily holding multitudes of fellow creatures in abject slavery… [even as we declare] that we esteem liberty the greatest earthly blessing.” This sermon was published in 1779 as a pamphlet by the New Jersey Journal, and helped frame the debate around the apparent contradiction of maintaining slavery while proclaiming national liberty. 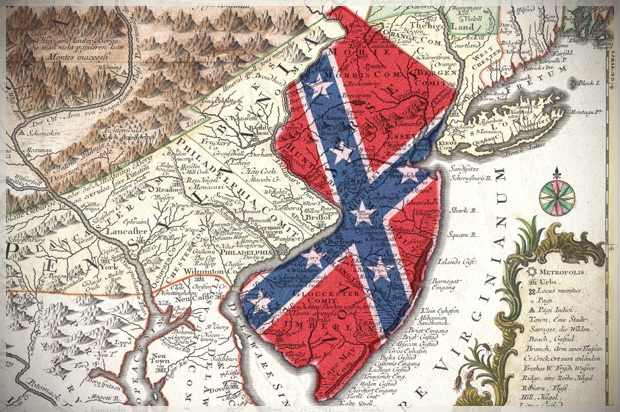 New Jersey fought on the side of the Union in the Civil War but, according to Jim Gigantino, professor of history at the University of Arkansas, New Jersey was the most enthusiastic Northern state when it came to holding on to slavery years after other Northern states had ended it. Just before the end of the Civil War, New Jersey even voted down the 13th Amendment abolishing slavery, only voting to ratify it in 1866, after the end of the Civil War and Lincoln’s assassination months earlier. Professor Gigantino says his new research indicates that as many as 400 African-Americans remained in some form of slavery at the end of the Civil War, not the reported 18 long accepted in the historical record. The local Mendham Township Committee is now in the process of subdividing off the Pitney homestead for residential development. Perhaps before the structures on the Pitney Farm are demolished we owe it to future generations to permit an archaeological dig at the site to find out more out about the shadow history we keep ignoring. We have already lost enough history. 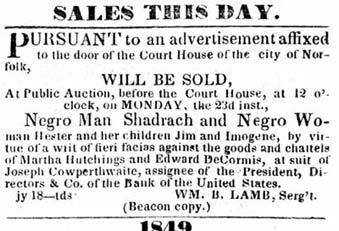 February 15th 1851, Black abolitionists broke into a Boston courthouse and rescued Shadrach Minkins, a fugitive slave. Born in Norfolk in 1800, Minkins was affected by the Nat Turner rebellion and the death of his owners Thomas and Ann Glenn. Minkins escaped north to Boston Massachusetts in 1850. A year later working as a waiter serving breakfast at a coffeehouse in Boston history caught up with him. 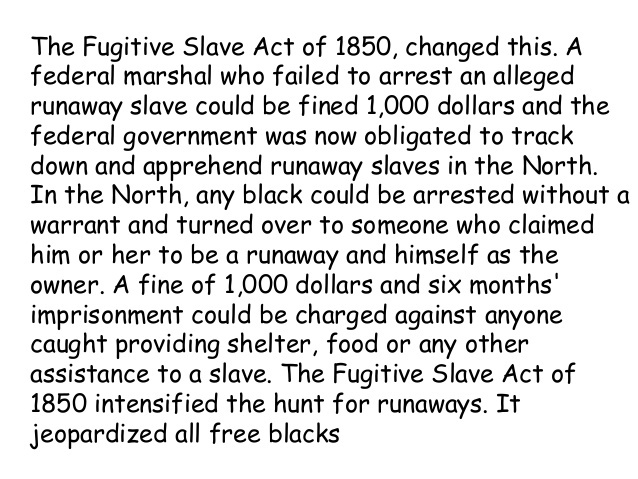 Arrested, he was the first runaway to be detained in New England under the 1850 Fugitive Slave Law. Minkins became a catalyst of one of the most dramatic episodes of rebellion and legal wrangling before the Civil War. 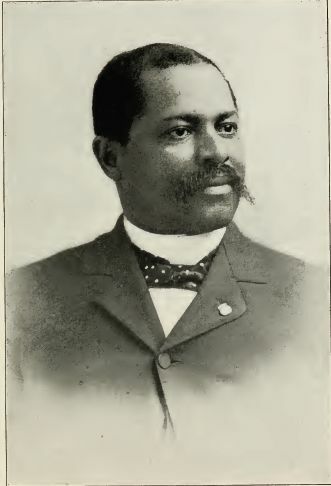 After his daring courthouse rescue he escaped to Canada and with other African American expatriates in Montreal created the city’s first Black community. Minkins died in 1875, without a country but a free man. On Saturday morning, February 15, 1851, two officers posing as customers at Taft’s Cornhill Coffee House seized the waiter Shadrach Minkins, a “stout, copper-colored man,” who had escaped from slavery in Virginia and settled in Boston. Minkins was taken to the nearby courthouse for a hearing. Lawyers Robert Morris, Richard Henry Dana, Jr., Ellis Gray Loring and Samuel E. Sewall offered their services as Minkins’ counsel. They immediately filed a petition for writ of habeas corpus with the Supreme Judicial Court seeking Minkins’ release from custody. Massachusetts, refused to consider the defense’s habeas corpus petition. Later, a crowd of black and white abolitionists entered the courthouse, overcame armed guards and forced their way into the courtroom. In a chaotic struggle, black abolitionists arrested Minkins from his court officers, carried him off and temporarily hid him in a Beacon Hill attic. 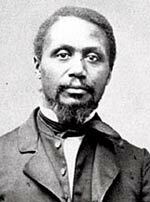 From there, Boston black leaders Lewis Hayden, John J. Smith and others helped Minkins escape from Massachusetts, and he eventually found his way to Canada on the Underground Railroad. On an order from President Millard Fillmore, nine abolitionists, including Robert Morris, were indicted. Charges against some were dismissed, while others, including Morris and Hayden, faced a jury in court. Utimately, each was aquitted. 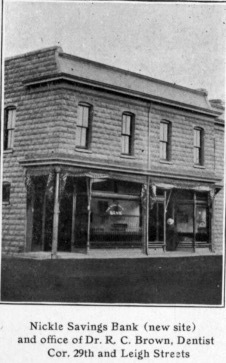 John A. Higgins, of Norfolk, purchased Minkins that day and may have hired him out until October. In November 1849, Higgins sold Minkins to his father-in-law, John DeBree, a career naval officer from New Jersey. The low purchase price of $300 suggests that the balance of Minkins’s worth may have gone toward a debt owed by Higgins to DeBree. 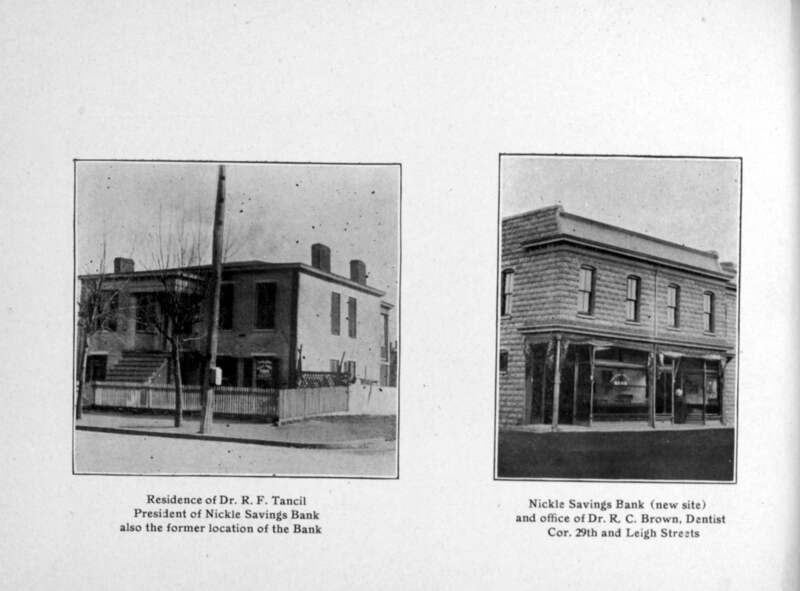 Minkins worked as a house servant in the DeBree home at 117 East Main Street, Norfolk, near Market Square.